RECA strives to provide opportunity for the free exchange of information, ideas, and knowledge that support personal growth and education. RECA has sponsored, organized and collaborated conferences at Al-Quds University to provide Al-Quds, local, and international institutions a space to bring researchers, scholars, and other invested members together for academic exchange. RECA hosts international guests to provide lectures, to train, and to facilitate seminars during these conferences to provide more opportunity to learning minds. 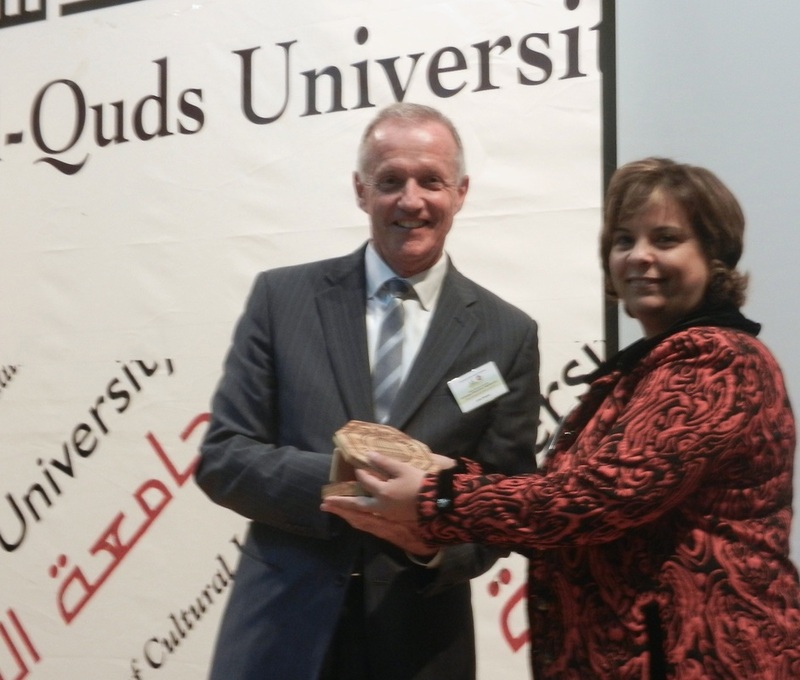 RECA congratulates Al-Quds University leadership for collaborating to create a wonderful and beneficial conference. We sincerely thank University of Massachusetts at Boston’s Dean Anahid Kulwicki and Framingham State University’s Professor Susan Massad for attending, collaborating, and speaking at the conference. 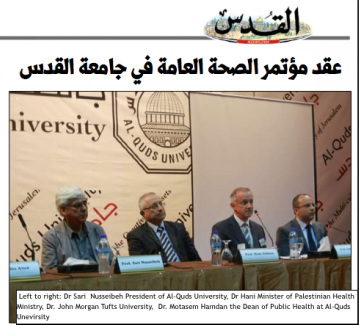 ​RECA congratulates the leadership of Al-Quds University, presented with the President Dr. Sari Nusseibeh and the Public Health Department, represented by Dr. Motasem Hamdan, Dr. Asma Imam, and the public health team for their exemplary efforts in organizing this conference. We sincerely thank Tufts University's Dr. Noshir Mehta, Associate Dean of Global Relations, Mark Nehring, D.M.D., M.P.H., M.Ed., Chair of the Department of Public Health and Community Service, and Dr. John Morgan, DDS Associate Professor for their participation and support.